On the 9th May 1904, The steam locomotive City of Truro becomes the first steam engine in Europe to exceed 100 mph (160 km/h). GWR 3440 (3717) City Of Truro is a Great Western Railway (GWR) 3700 (or ‘City’) Class 4-4-0 locomotive, designed by George Jackson Churchward and built at the GWR Swindon Works in 1903. (It was rebuilt to a limited extent in 1911 and 1915, and renumbered 3717 in 1912). It is one of the contenders for the first steam locomotive to travel in excess of 100 miles per hour (160.9 km/h). City of Truro was timed at 8.8 seconds between two quarter-mile posts whilst hauling the “Ocean Mails” special from Plymouth to London Paddington on 9 May 1904. This timing was recorded from the train by Charles Rous-Marten, who wrote for The Railway Magazine and other journals. If exact (Rous-Marten’s stopwatch read in multiples of 1/5 second), this time would correspond to a speed of 102.3 mph (164.6 km/h), while 9 seconds would correspond to exactly 100 mph. Initially, mindful of the need to preserve their reputation for safety, the railway company allowed only the overall timings for the run to be put into print; neither The Times report of the following day nor Rous-Marten’s article in The Railway Magazine of June 1904 mentioned the maximum speed. However the morning after the run two local Plymouth newspapers did report that the train had reached a speed between 99 and 100 miles an hour whilst descending Wellington bank in Somerset. This claim was based on the stopwatch timings of a postal worker, William Kennedy, who was also on the train. After the 1904 speed record, 3440 continued in everyday service until it was rendered obsolete in 1931, being withdrawn from service in March that year. 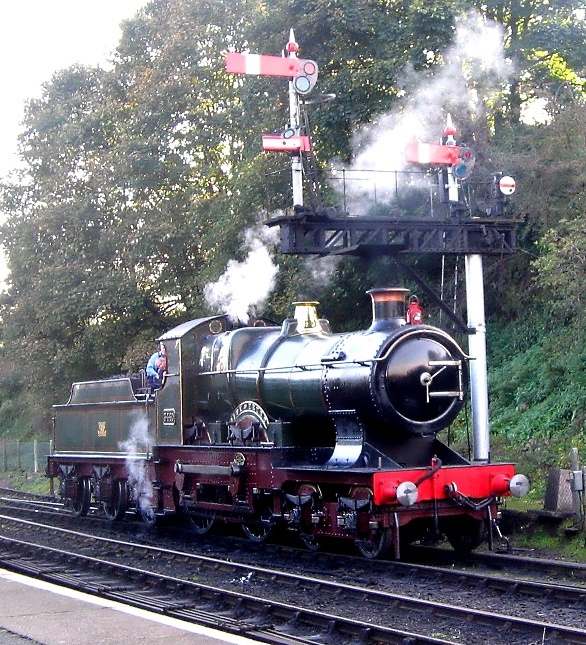 The historical significance of City of Truro led to the locomotive’s survival after withdrawal from service, with the GWR’s Chief Mechanical Engineer Charles Collett asking that the engine be preserved at the London and North Eastern Railway’s Railway Museum at York when she was withdrawn in 1931, after the directors of the GWR had refused to preserve the engine at the company’s expense. It was donated to the LNER, being sent from Swindon on 20 March 1931, and was subsequently displayed at the new museum in York. Her latest restoration to full working order was undertaken in 2004, at a cost of £130,000, to mark the 100th anniversary of her record-breaking run, and the loco has subsequently hauled several trains on UK main lines, although due to the lack of certain safety features she no longer operates on the main line. Her latest restoration to full working order was undertaken in 2004, at a cost of £130,000, to mark the 100th anniversary of her record-breaking run, and the loco has subsequently hauled several trains on UK main lines, although due to the lack of certain safety features she no longer operates on the main line. City of Truro is now based semi-permanently at the Gloucestershire Warwickshire Railway, where she can often be seen hauling trains between Toddington and Cheltenham Racecourse. However she frequently leaves her Toddington base to visit other UK heritage railways. In 2010 as part of the celebrations to mark the 175th anniversary of the founding of the GWR City of Truro was repainted and took up its 3717 guise once again. This is the first time it has carried an authentic livery for its current state whilst operating in preservation.GWR 3717 was withdrawn from traffic at the Bodmin & Wenford Railway in early September 2011 with serious tube leaks, and was moved to Shildon Locomotion Museum and placed on static display (I was lucky enough to see it in steam at one of the Severn Valley Railway’s recent steam Galas). the figure who later became Mr. Punch made his first recorded appearance in England On 9th May 1662. Punch and Judy is a traditional, popular puppet show featuring the characters of Mr. Punch and his wife, Judy. The performance consists of a sequence of short scenes, each depicting an interaction between two characters, most typically the anarchic Punch and one other character. It is often associated with traditional English seaside culture. The show is performed by a single puppeteer inside the booth, known since Victorian times as a “Professor” or “Punchman,” and assisted sometimes by a “Bottler”, who corrals the audience outside the booth, introduces the performance and collects the money (“the bottle”). The Bottler might also play accompanying music or sound effects on a drum or guitar and engage in back chat with the puppets, sometimes repeating lines that may have been difficult for the audience to understand. In Victorian times the drum and pan pipes were the instruments of choice. This weekend The Sunday Telegraph is offering readers a free copy of the 1964 thriller The Two Faces of January by Patricia Highsmith. Which has also recently been turned into American thriller film, which was written and directed by screenwriter Hossein Amini and stars Viggo Mortensen, Kirsten Dunst, and Oscar Isaac. the novel takes place in Greece and Turkey in 1962, and features A glamorous American couple, the charismatic Chester MacFarland and his alluring younger wife Colette , who arrive in Athens by boat via the Corinthian Canal. While sightseeing at the Acropolis they encounter Rydal, a young, Greek-speaking American who is working as a tour guide, scamming tourists on the side. Drawn to Colette’s beauty and impressed by Chester’s wealth and sophistication, Rydal gladly accepts their invitation to dinner. However, all is not as it seems with the MacFarlands and Chester’s affable exterior hides darker secrets and it transpires that Chester and his wife may be con artists who are on the run from the Police. Blissfully Unaware, Rydal visits the couple at their exclusive hotel, Chester presses him to help move the body of a seemingly unconscious man who he claims attacked him. In the moment, Rydal agrees but as events take a more sinister turn he finds himself compromised and unable to pull himself free. His increasing infatuation with the vulnerable and responsive Colette gives rise to Chester’s jealousy and paranoia, leading to a tense and dangerous battle of wits between the two men. The novel starts during the start of another school year at St Ambrose Primary School, and everyone is raring to get started, it is a world of friendships, fights exclusive cliques and feuding. But while the children are in the classroom colouring, outside the school gates their mothers are learning harsh lessons in friendship, betrayal, the laws of the community, the transience of power..and how to get invited to lunch. 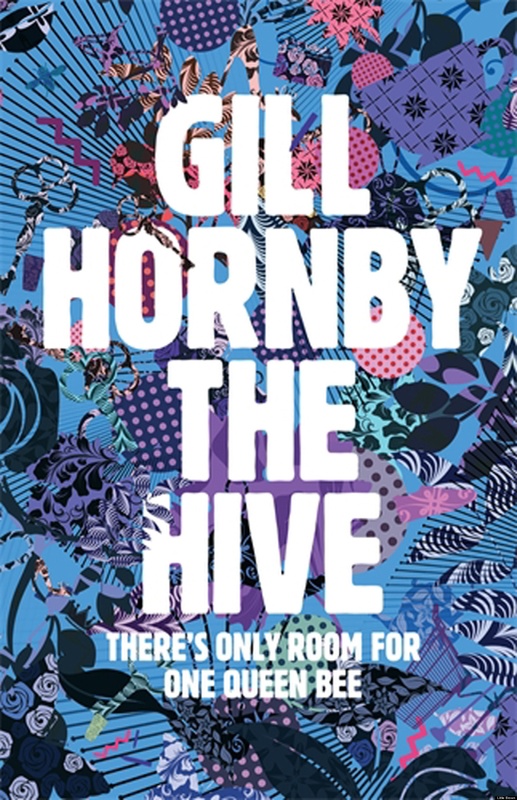 The novel Looks at how, from, social events to fundraising, everyone, willing or not, must play their part, all under the watchful eye of the queen of the hive. The novel features Beatrice, the bossy undisputed queen bee. Ruler, by Divine Right, of all school fund-raising, this year, last year and, surely, for many years to come. Heather who is desperate to volunteer, desperate to be noticed, desperate just to belong. Georgie who is desperate for a cigarette And Rachel who is watching them all, keeping her distance, only to discover that the line between amused observer and miserable outcast is a thin one. Initially, there seemed to be a lot of characters to get used to, what with the mothers, their husbands and their children, but the characters are all very distinctive in terms of personality so this was not a problem after a few chapters. In fact, the metaphor of the social group being compared to a hive was enhanced by the amount of activity and socialisation continuously taking place. Not all of the characters are likeablE there are lots of cliques and sub-cliques, and only one group is really popular and cool. The parents behaviour mirroring that of the children. In The Hive, Beatrice is the grown up version of the girl who seemed perfect and popular at school, but just as we suspected when at school, she’s not quite as perfect as she seems. The effort that some of the characters put in to stay close to her made for a fascinating and subtle story about group politics and female friendship. From the joys and perils (well, mainly perils) of the Lunch Ladder, to the military operation that is the Car Boot Sale, via the dos and don’ts of dressing your child as a dalek, all human life is here. I have also recently watched Mandela – Long Walk to Freedom The epic, powerful, inspiring and at times thrilling film which was released recently on DVD. Directed by Justin Chadwick it Stars Idris Elba as Nelson Mandela and Naomie Harris as Winnie Mandela, and is the incredible true story of the life of Nelson Mandela and is based on Mandela’s autobiographical book ‘Long Walk to Freedom” it starts from his humble beginnings in a remote village. His education at a Thembu college called Clarkebury, and later at the strict Healdtown school, where students were rigorously put in routines. He mentions his education at the University of Fort Hare, and his practice of law later on. The film looks at the important role his future wife Winnie Mandela played in introducing him to the various political and social aspects of apartheid in South Africa, and the influences of politicians such as Daniel François Malan who implemented the nadir of African freedoms, as he officially commenced the apartheid policies. Which were all opposed by the then outlawed African National Congress whom Mandela joined in 1950 who used organisation of guerrilla tactics and underground organisations to battle against apartheid, resulting in Mandela’s subsequent imprisonment on Robben Island for 27 years, by the Apartheid Government who regarded him as a terrorist and jailed him for his role as a leader of the then-outlawed ANC. The film looks at his prison time on Robben Island and Pollsmoor Prison. Which was marked by the cruelty of Afrikaner guards, backbreaking labour, and sleeping in minuscule cells which were nearly uninhabitable. And his alleged former close personal friendship with the warder James Gregory, whose position was to review all incoming and outgoing mail and censor the letters delivered to the future president, and who was able to discover the details of Mandela’s personal life, which he then made money from by means of his book Goodbye Bafana. Mandela considered suing Gregory for this breach of trust. Later on in his sentence, Mandela met South African president, Frederik Willem de Klerk, and was released from prison in 1990. The film does not delve to deeply into the alleged complicity of de Klerk in the violence of the eighties and nineties, or the role of his ex-wife Winnie Mandela in that bloodshed. But focuses instead on how Mandela became the first Democratically Elected President of South Africa in 1994 and how he triumphed becoming a modern icon in the process, achieving international recognition for his leadership as president in rebuilding the country’s once segregated society. i have recently read This exciting historical novel again, which is Set in Tudor England during the turbulent reign of Henry VIII shortly after he forms the Church of England and parts ways with the Catholic Pope of Rome, Before divorcing Anne Boleyn, who parts ways with her head!? Having decided that the monasteries are all hotbeds of corruption and are getting rich whilst the parishioners are left to starve, King Henry tasks his Lord Protector Oliver Cromwell to remove all traces of idolatry, Roman Catholicism and dissolve all the monasteries in England. To this end Cromwell dispatches emissaries to different Monasteries to shut them down. Among them is Commissioner Singleton who is sent to the Monastery of St. Donatus the Ascendent at Scarnsea on the Sussex Coast, to see if he can discover any financial irregularities or crimes of a more disturbing nature at scarnsea, and thus find a legitimate reason to close it down. Naturally when word of Commissioner Singleton’s true purpose emerges this does not go down too well with the monks who live there and shortly after arriving at Scarnsea Commissioner Singleton is found brutally decapitated and a Black Male Hen’s head is placed on the alter of the Monastic Church, causing some of the Monks to speculate that evil supernatural forces are at work at Scarnsea. At Scarnsea, Shardlake learns that Some of the monks have dark secrets and unsavoury pasts which they would rather remain hidden and have their own reasons for not wanting the Monastery closed down. 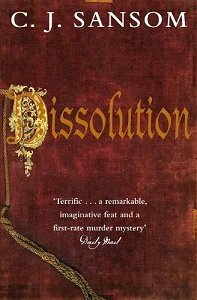 Then Things take a turn for the worse when more people are found murdered including the Novice Monk Simon Whelplay, and Shardlake begins to suspect that more lives may be in jeopardy including his own, so he must hurry to discover the truth of what really happened at the monastery of St. Donatus the Ascendent. However as he makes his enquiries he begins to question his own vocation to Lord Cromwell and begins to suspect that Cromwell himself may not be the righteous force for good he makes out and may be slightly corrupt himself.